Coming from a patient care background with my mom being a nurse, I’ve always had a passion for biology and the health sciences. 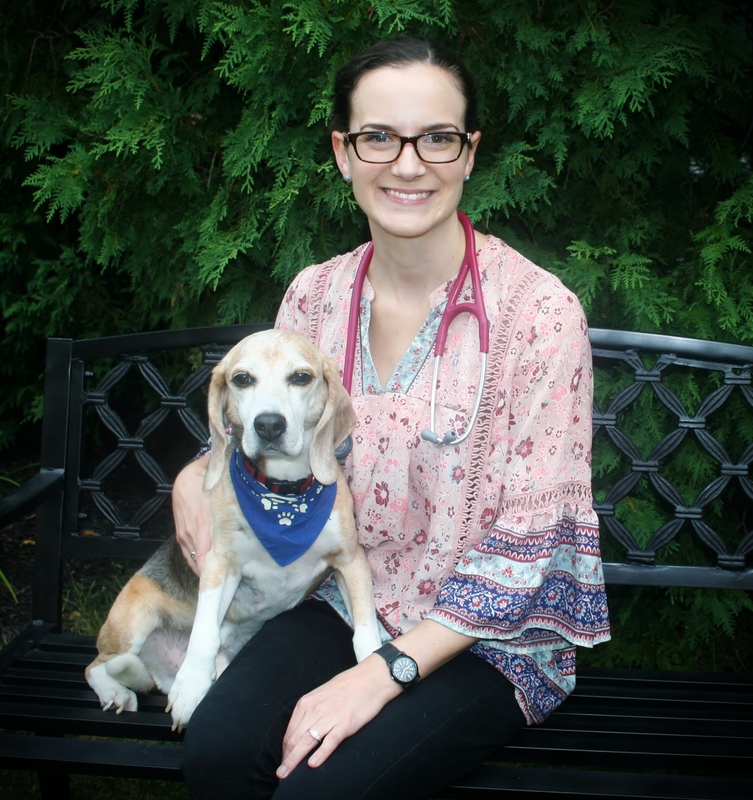 I ultimately decided to pursue veterinary medicine because I have an intense appreciation for the human-animal bond, and getting to see that and be a part of that every day with my clients and patients makes it so my job never feels like work. I always want to make sure my clients feel their concerns are being heard and addressed. I also always want to be an advocate for the patient and use my veterinary skills to identify a patient’s medical needs when they cannot express those needs themselves. I got my Bachelor of Science degree in 2010 and my D.V.M. degree in 2018, both from Cornell University. My special interests include clinical pathology, neurology and surgery. My family is made up of myself and my fiancé Lucas, a large animal veterinarian in the area, as well as our three fur kids: Ollie the beagle, Griffin the pit bull mix, and Moose the pit bull mix.